Understanding God the Father is a difficult challenge for the mind of man. There is no comparison – never has been – never will be. God is so much larger than man is and the reality of man is so much smaller. Consider that as Creator the Lord can hold the universe (known and unknown) in the palm of His hand. He has a name for every star (try counting them one night). Man fumbles around trying to find his beginning and the Lord God has no beginning and no end. Before the world was created, He was; man was not even dust. The knowledge of the mind of Jehovah is filled with the lives of every human being that has ever lived, living now and the lives of all those who will live before the end of the world. He remembers everything – literally. He knows everything – literally. He exists everywhere – literally. How incredibly awesome is our God. And He wants us to be like Him. 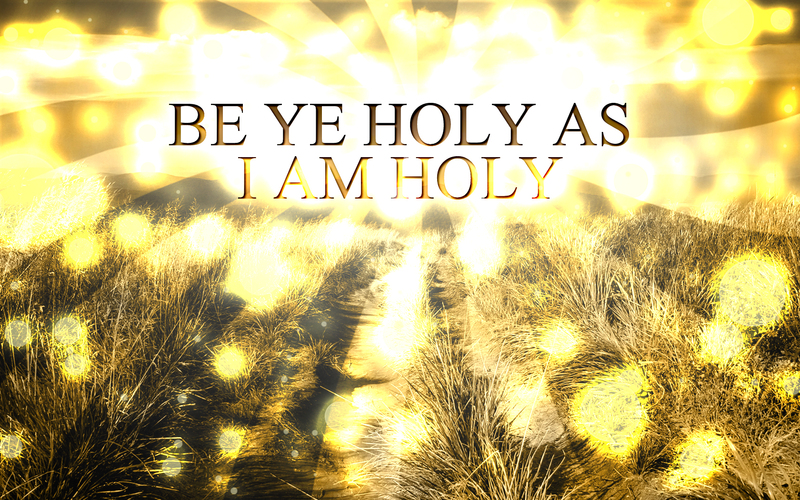 The Lord wants us to be holy because He is holy. The nature of holiness is defining. God wants us to be holy people following the character of His holiness. It is important to see that we are not expected to do holy things but to be holy people. Often men think that if they do holy things God will see them as holy. Other men may think the person to be holy because of the things they do. Contrary, the admonition is to be holy people living holy lives from a heart consecrated to the love of God. Righteousness is not measured by the deeds of good works but the spirit of the heart dedicated to the will of the Lord. Holiness comes from minds that are prepared with the grace of God. Devotion to God is found in the spirit of love for the Father – desiring to mold the heart with the image of the Lord. We are holy because we think in holy ways. Sober minded hearts are filled with the measure of the Father’s love showing forth in the words, deeds and lives of holy people. Like the Father, we do not do holy things – we are holy. Every atom of our existence is filled with the desire to be like God. Faith directs every step. Hope guides the heart in every decision. Devotion carries the spirit through the difficult paths of obedience. God’s people mold their conduct into His will in complete faith and trust. Holiness is a natural outpouring of who we are. Why? Because that is who God is.